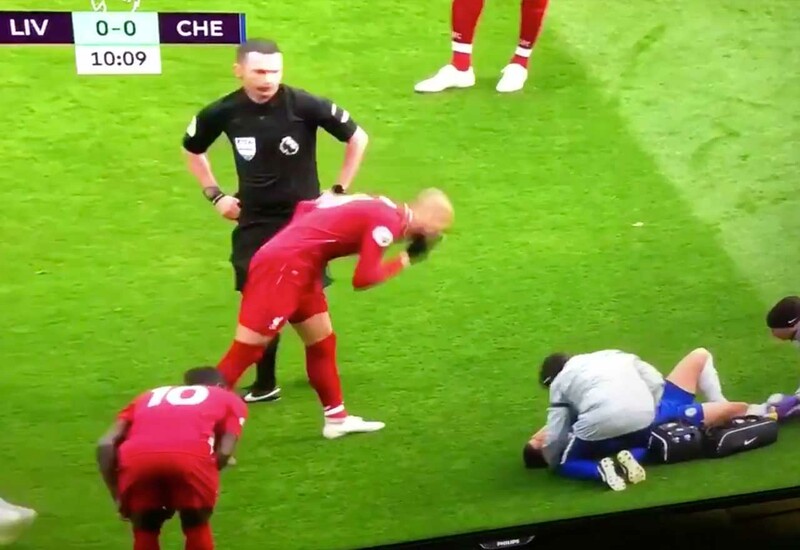 Has Liverpool midfielder Fabinho just deliberately snotted on Eden Hazard, with the Belgian laying injured on the Anfield turf? It may well be camera trickery, but it certainly looks like it could be a disgusting act from the Brazilian. Fabinho has been brilliant for Liverpool since the turn of the year, so it’d be a shame from Liverpool’s perspective if he were to let him down in this manner. Hazard, who looked hurt after a strong challenge, was being tended to by the Chelsea medical staff. Fabinho appears to shape his body and head to deliberately get his snot in the direction of our Hazard. We’re certain that the FA will look at this. It’s happened right in front of the referee, which is puzzling. It could be entirely innocent from Fabinho, or it could be one of the most disgusting things we’ve seen in the Premier League for a long time.